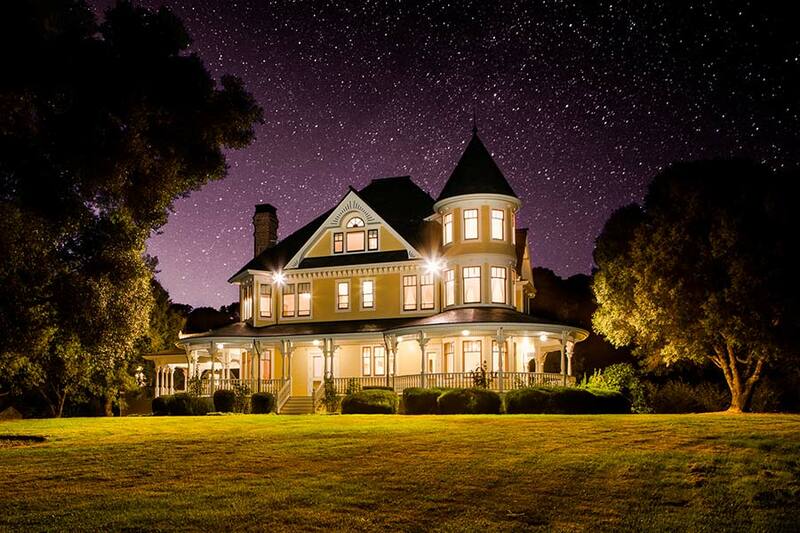 After six weeks of international marketing and on-site property tours, five registered bidders gathered in the dining room of the East Ranch estate in Mendocino County’s Redwood Valley on the evening of September 17, to participate in a live auction sale with the hopes of becoming the property’s new owner. After approximately 15 minutes of rapid-paced bidding, the property was sold. The sale was managed by Miami-based auction house Platinum Luxury Auctions, a firm that specializes in the non-distressed auction sale of multimillion-dollar properties on behalf of their affluent owners. Real estate brokerage Dreyfus Sotheby’s International Realty served as the broker of record for the sale. Listing agent Chris Iverson represented Dreyfus Sotheby’s in the transaction. Located in California’s Mendocino County, the East Ranch is within a 2.5-hour drive of the heart of San Francisco, and less than one hour and 45 minutes from Napa Valley. Known for its natural beauty, parks, beaches, and more than 570 wine vineyards – many of which are still operated by second or third generation families – Mendocino is a charming area that feels worlds away from the static of city living. 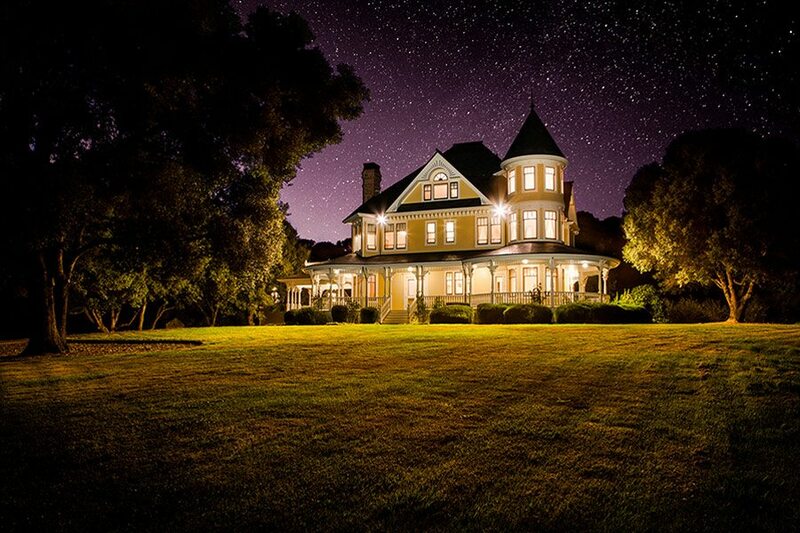 Although the East Ranch is a working farm, life on the ranch is not exactly “roughing it:” the property includes a luxurious, Victorian-inspired residence which offers nearly 7,500 sq. ft. of living space, 5 bedrooms, 4 full and one-half bath. The residence was custom built in 1997, and has been meticulously maintained throughout the years. “I did not see one settling crack, scratch, or other defect in the entire residence. The seller’s care for the property is simply exceptional,” said David Ashcroft, Platinum’s director of business development and a manager for the sale. Adjacent to the main home is a 3-car garage, which includes a beautifully finished office/studio, which adds another 760 sq. ft. of living space and one half bath. Additional features include a gazebo, a 4,900-sq.-ft. barn, 40,000 sq. ft. of manicured lawn, three rock wall flowerbeds and nearly 1,600 plants and shrubs. During its marketing process in advance of the auction sale, Platinum reported that it received more than 39,870 international visitors to the property’s dedicated webpage and fielded 74 bona fide inquiries. The buyer of the property is reported to be an experienced real estate developer from the San Francisco area, who intends to use the ranch as a weekend retreat for his family. Those seeking more information on this sale may contact Platinum Luxury Auctions at 800.262.5132. Additional details are also available at CaliforniaLuxuryAuction.com. Miami-based Platinum Luxury Auctions, a real estate auction firm specializing in the non-distressed sale of multimillion-dollar properties on behalf of wealthy sellers, has announced the September 30th auction of four residential lots in the exclusive community of Wolf Creek Ranch. Each of the 160-acre lots was previously listed for $1.35 million. On auction day, at least one of the lots will be sold without reserve, meaning that the highest bidder will prevail regardless of the bid price. The remaining three lots will be sold subject to the owner’s acceptance of the highest bid. The properties, located in Heber City, Utah, about 25 minutes from Park City, are being marketed for auction in cooperation with the Lange Group of Summit Sotheby’s International Realty, the listing brokerage of record. Listing agents Will Lange and Matt Mullin are representing Summit Sotheby’s for the transaction. An interesting aspect of the auction is that the four properties are being offered using a method called “high bidder’s choice” (or simply “bidder’s choice”). Rather than auctioning the individual lots one-by-one, the high bidder’s choice method allows the highest bidder from a given round of bidding to select the lot of his choice from amongst the four that are available. Once the first high bidder selects his lot, the bidding process will then repeat, with the new high bidder selecting his lot from the remaining three that are available, and so forth. “This method of auction is a common strategy when we offer like-kind real estate assets located within the same, immediate market area,” according to David Ashcroft, Platinum’s director of business development. “It increases the efficiency of the bidding process for both buyer and seller.” Ashcroft also added that the seller has the option to offer more than one parcel without reserve, so bidders worried that only one round of bidding may offer a “great deal” need not be disappointed. “It’s not uncommon for us to offer more assets without reserve than originally planned, once the live bidding process is underway,” he noted. Occupying 13,200 private acres and with only 80 homesites, Wolf Creek Ranch ensures it residents a sense of peace and privacy amidst Utah’s natural beauty. “My favorite part of Wolf Creek Ranch is that I can go there and feel like I’m the only person in the world. Although it’s not far from town and the neighbors are always up for a get together, there’s a real air of seclusion and it is restful and relaxing to have somewhere to call home that’s still like that,” stated Will Lange, the lead agent for the Lange Group of Summit Sotheby’s. Community amenities include an owners’ lodge with catering kitchen, fire pit, and outdoor grill/entertainment area, in addition to an equestrian center (the community offers nearly 60 miles of riding trails). Those who enjoy working with the rod and reel will appreciate the experienced trout-fishing guide on staff at Wolf Creek, helping new anglers navigate the community’s mile-long strip of private frontage on the Upper Provo River. The four auction parcels range from 160 to 166 acres in size, and are located near the western border of the community. 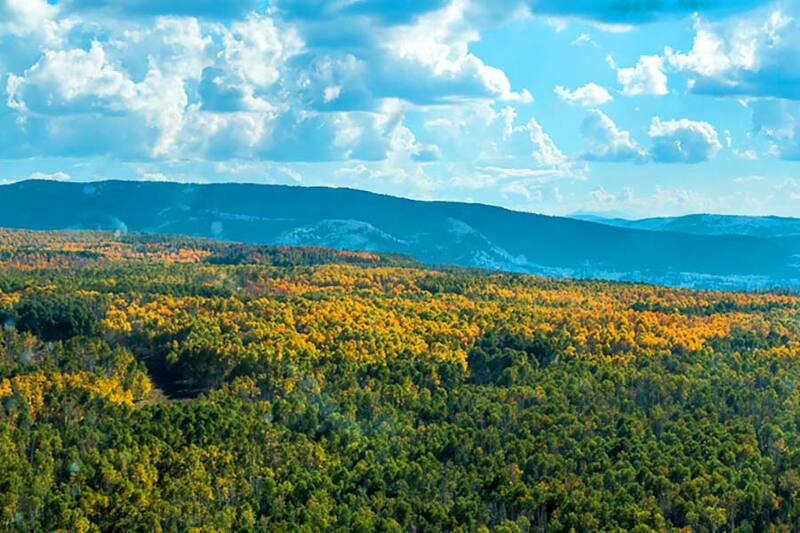 The lots boast beautiful, natural vegetation such as aspen groves and pine forests, and are permitted for up to three structures each (ideal for those who want to build a large, luxury home, adjacent barn and covered riding arena, for example). Property previews will be held at Wolf Creek Ranch from 12-4pm MDT daily, until the auction date. Prospective purchasers may visit UtahLuxuryAuction.com to learn more about the property, or may call 800.262.5132 to speak with a Platinum associate. At the turn of the 20th century, John Cleveland Osgood was a powerful coal and steel industrialist who pioneered his way into being one of the wealthiest people in the United States (purportedly raking as the sixth wealthiest man in the country in 1900). A significant portion of Osgood’s empire was based just outside of Aspen, in Colorado’sbeautiful Roaring Fork Valley. There, Osgood literally built – and founded – a town, known to this day as Redstone, Colorado. In addition to housing for his employees and public buildings such as a hospital and library, Osgood constructed his own, magnificent residence, boasting 42 rooms and nearly 24,000 square feet, and situated on 150 private acres. On October 7, 2016, Osgood’s former home – most commonly known as “Redstone Castle” (though also referred to as Cleveholm Manor and Osgood Castle) – will be sold at a live auction managed by luxury real estate auction house Platinum Luxury Auctions. Although recently listed for $7.5 million, the property will now be sold to the highest bidder who meets or exceeds a bid of only $2 million. Platinum is conducting the auction sale in cooperation with Aspen-Snowmass Sotheby’s International Realty, the property’s brokerage of record. Listing agents Ted Borchelt and Jana Dillard are representing Sotheby’s for the sale. The property has been through a series of owners since Osgood’s death in 1926. 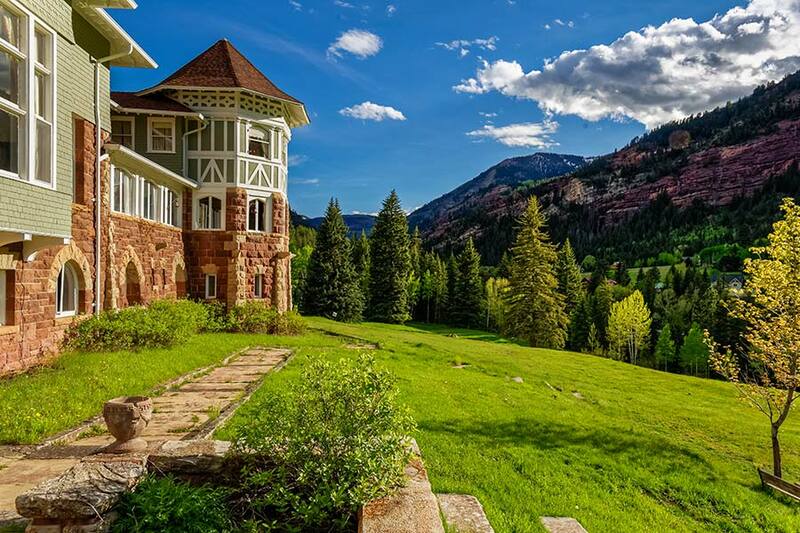 It remains a fairly popular tourist attraction – the current owner opens the property for paid public tours – and serves as the centerpiece of the small mountain hamlet of Redstone. Listed on the National Register of Historic Places since 1971, the Castle provides a unique glimpse into the style and social culture of America’s elite at the turn of the 20th Century. The Tudor-style estate is filled with the finest furnishings of its era: wooden paneling designed by Gustav Stickley (famed for his work in the American Craftsman style), intricately cast brass globe lights created by Louis Comfort Tiffany (of the Tiffany & Co. family), and countless pieces of furniture and artwork collected by the Osgoods on their frequent trips to Europe. When Osgood was in residence, Redstone Castle played host to American icons such as John D. Rockefeller, J. Pierpont Morgan and Teddy Roosevelt. In 2006, the estate was used in the filming of the Hollywood movie The Prestige, featuring Christian Bale, Hugh Jackman and Scarlett Johansson. “Perhaps one of the most intriguing aspects of these historic properties is the quality and composition of their structures and décor,” noted Trayor Lesnock, Platinum’s founder and president. “Redstone Castle was constructed using materials and methods that either no longer exist today, or are simply too costly and impractical to reproduce. It’s truly a case of the, ‘They just don’t make things like they used to,’ phenomenon.” Lesnock noted that unique aspects of the property include ceilings finished with real gold leaf, walls upholstered in fine silks, and doors covered in elephant hide that has been dyed in various colors. In total, the castle offers 21 bedrooms, 14 full and 2 half baths, while a separate carriage house adds another 4,700 square feet, with 3 bedrooms, 2 full and one half baths. Although designed in the same Tudor style as the castle, the carriage house was renovated in the 1990’s, and includes twelve beautiful horse stalls and a tack/display room on its lower level. Redstone Castle will be open for previews daily until the auction date, between the hours of 9am and 1pm MDT. Interested parties may contact a Platinum associate at 800.262.5132, or visit COLuxuryAuction.com for photos, video, and an extensive folio of informational documents. On September 17, 2016, those looking to try their hand at ranch ownership or wine production – or those simply looking for plenty of buffer space from neighbors – will be well served to place their bid for the East Ranch, a 1,745-acre estate located in Redwood Valley, within California’s Mendocino County. Though recently asking $8 million, the property will now be sold to the highest bidder above the auction’s $3 million reserve price. The ranch’s owners retained veteran luxury real estate auction firm Platinum Luxury Auctions for the sale. Platinum is managing the transaction in cooperation with listing brokerage Dreyfus Sotheby’s International Realty, in Menlo Park, California, represented by listing agent Chris Iverson. The East Ranch is located within a 2.5-hour drive of the heart of San Francisco, and less than one hour and 45 minutes from Napa Valley. Known for its natural beauty, parks, beaches, and more than 570 wine vineyards – many of which are still operated by second or third generation family farms – Mendocino offers a welcome respite from the stresses of city living. Living on the East Ranch does not mean having to “rough it:” the property includes a luxurious, Victorian-inspired residence, offering nearly 7,500 sq. ft. of living space, 5 bedrooms, 4 full and one-half bath on four levels. Although boasting a Victorian-era design, the residence was custom built in 1997, and has been meticulously maintained throughout the years. Despite the size of the ranch, the property is actually very manageable. “From both a cost and operational standpoint, the owners have created a property that is very efficient,” noted David Ashcroft, Platinum’s director of business development and the lead manager for the firm on the transaction. For those interested in winemaking, the East Ranch offers 50-75 plantable acres for wine grapes, and the property’s water supply makes a potential wine operation much more feasible. In fact, the ranch’s owners previously operated a very viable commercial vineyard located immediately south of the property. While a modest number of cattle graze the East Ranch each year, the owners have largely focused on the improvement and conservation of the property’s beautiful, natural landscape. For example, there are seven species of oak on the property (whereas most areas in California are lucky to have two or three species – of the nine total that can be found in the state), in addition to redwood groves and even a modest orchard offering apples, pears, peaches, nectarines and pluot. The East Ranch is available for previews between the hours of 9am and 1pm PDT daily, until the auction. Additional information is available at the property’s dedicated webpage, CaliforniaLuxuryAuction.com, or by calling 800.262.6132.